Your Dentist in San Antonio Says Boost Your Oral Health This Year! Now that the new year is underway, it’s time to get to work with achieving your goals. Your dentist in San Antonio says don’t forget about your oral health, though. In fact, this is the perfect time to take action and to improve the condition of your mouth, teeth and gums. It also is an opportunity to revamp your appearance. Learn how to maximize the moment-at-hand as you continue reading! It’s vital to take steps to improve your oral health because it not only affects your mouth, teeth and gums, but it can also impact your overall wellness. For example, being proactive about preventing gum disease can decrease your chances of developing serious issues like Alzheimer’s disease, hypertension and heart disease. Performing oral hygiene properly – Brushing and flossing your teeth are critical to preventing the excess growth of bacteria. The combination of the two forms of oral hygiene, will ensure that the entire surface of your teeth is cleaned, as well as along the gumline. Visiting your dentist semi-annually – Another important habit to maintain is to visit your dentist every six months for preventive care. At these appointments, you’ll receive a thorough cleaning and examination that will identify problems that need to be addressed before they become greater issues. Your overall health is not just dependent on functionality, though. Thus, the way you mentally feel should be taken into account. A way to boost your confidence is with cosmetic dentistry, which can mask or correct your smile flaws to leave you looking and feeling like a brand-new person. When you take the time to make improvements in your smile aesthetics, you are also helping to create a more pleasant hormonal environment inside your body, which translates into better overall health. For most insurance companies, coverage renews at the start of the new year. So if you feel like you’ve been slacking somewhat in the dental care department, now is the perfect time to start a new pattern. 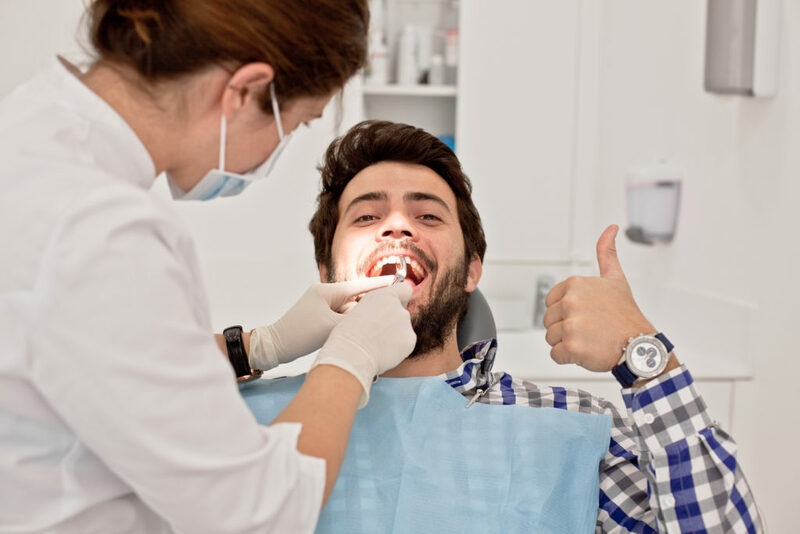 Furthermore, taking advantage of your dental insurance is the best way to see a return on your investment. It will also save you money by limiting your chances of needing more complex forms of care. So to get on the road to having a healthy and dazzling smile, simply reach out to your local dentist to schedule a consultation today! Since graduating from the University of Texas Health Science Center at San Antonio, Dr. Joseph Noble has remained dedicated to providing each patient with a level of care that is unmatched. As part of his commitment to excellence, he maintains professional affiliation with such organizations as the Texas Dental Association and the San Antonio District Dental Society. Dr. Noble helps patients start a new chapter of improved oral health at his private practice, and he can be reached for more information through his website. Comments Off on Your Dentist in San Antonio Says Boost Your Oral Health This Year!